Robert Spira, an Austrian lawyer, and his wife Mela came to England as refugees in 1938. Robert Spira obtained a B.A. degree in 1940 from the Courtauld Institute in London. Many of the paintings he brought from Austria to sell in England turned out to be frauds. Mr. Spira was interned on the Isle of Man as a precautionary measure when the threat of a German invasion became a possibility. 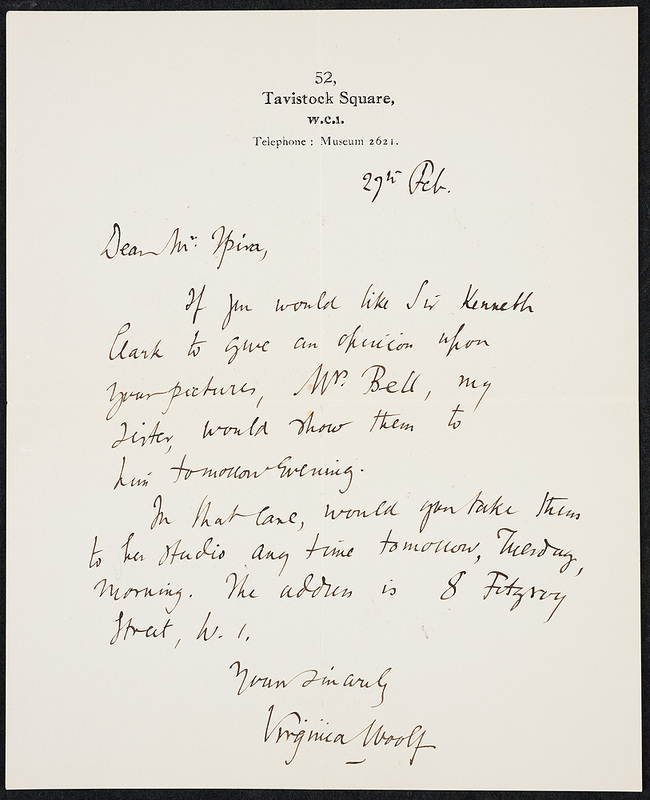 Virginia Woolf and Lady Oxford helped to free him. 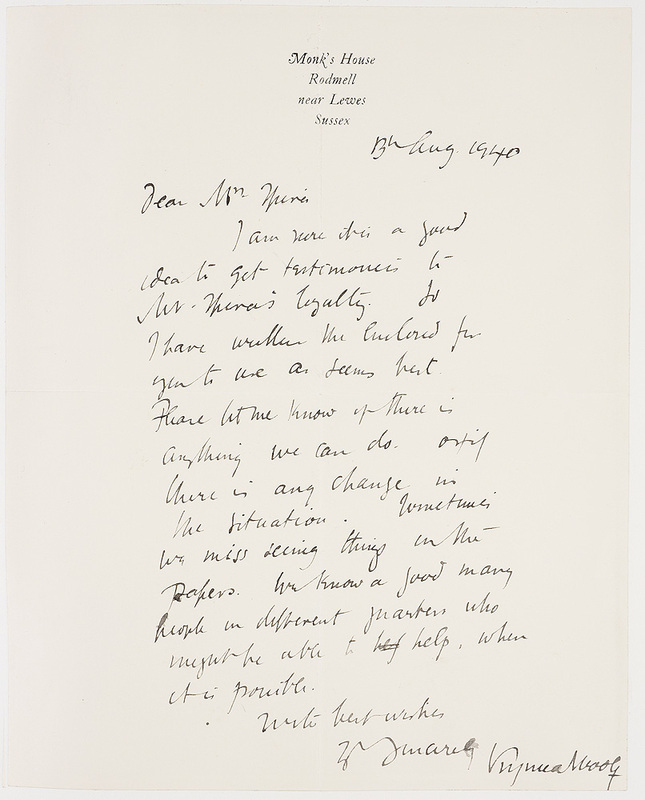 The Frances Hooper collection contains eleven letters from Woolf to Mela and Robert Spira written between 11 January 1939 and 2 October 1940. Virginia Woolf. Letter to Robert Spira, 27 February .